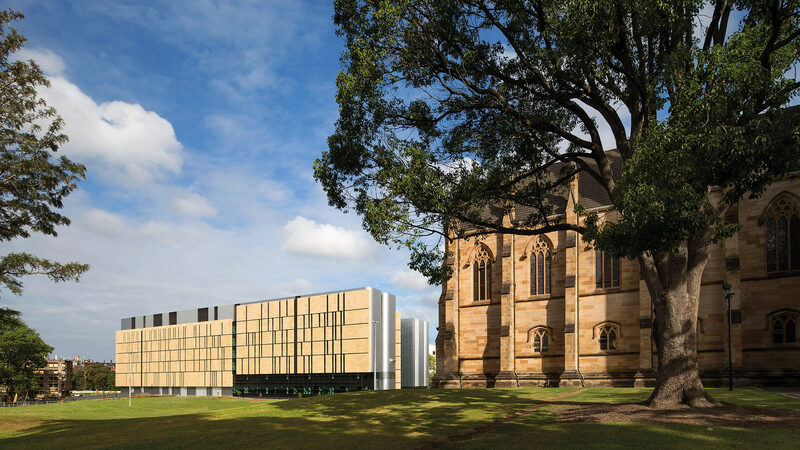 Located on the western edge of the University of Sydney Camperdown campus, the Charles Perkins Centre is a six storey building designed to foster collaboration and research in a holistic trans-disciplinary manner. 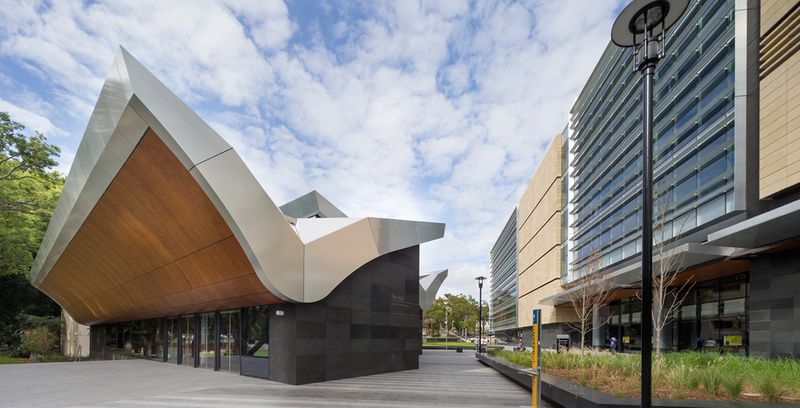 This world-leading research and education hub, supports researchers, academics and students from all disciplines working in areas of obesity, diabetes and cardiovascular disease. Balancing research and education needs, the design supports diverse disciplines such as biomedical, bioinformatics, computational as well as clinical research and social sciences. Within the 50,000 sqm building, over 16,000 sqm is dedicated to wet and dry laboratories. 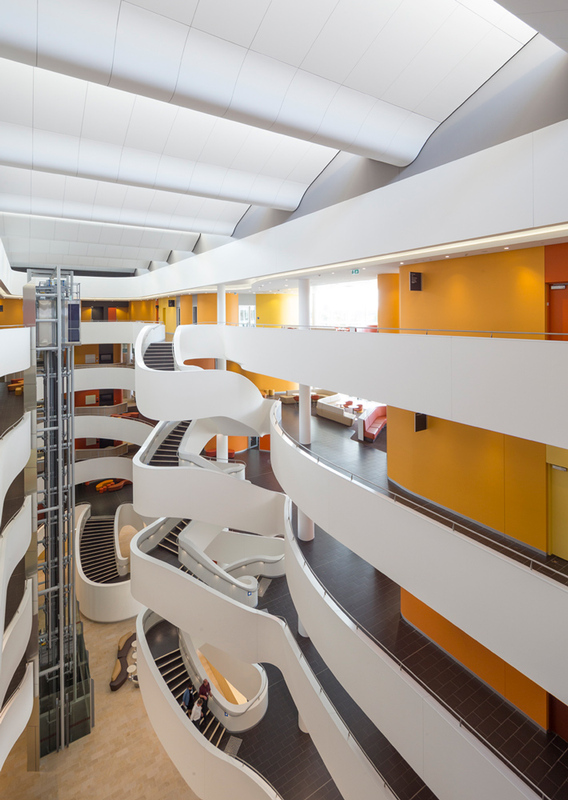 The interior design maximises efficiency and flexibility whilst encouraging collaboration and interaction between different research domains and project nodes. 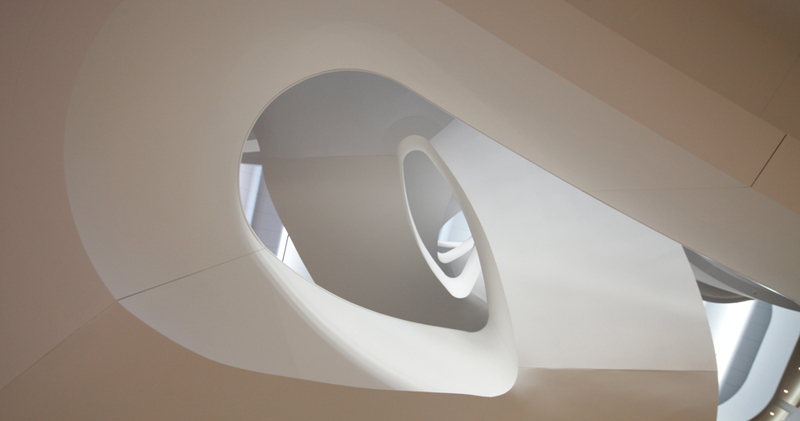 Biology of the human body, DNA sequencing patterns and blood flow inspired the overall architecture and interior design approach for the project. 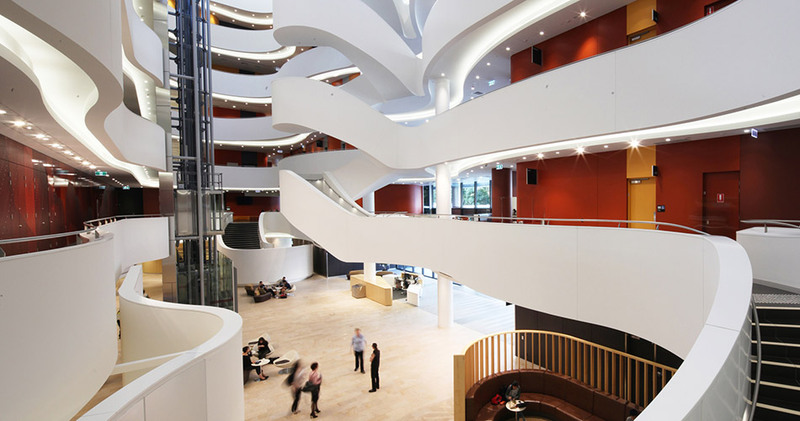 A large central atrium is the social heart of the building and is a place for gathering, interaction, sharing and impromptu casual exchanges. 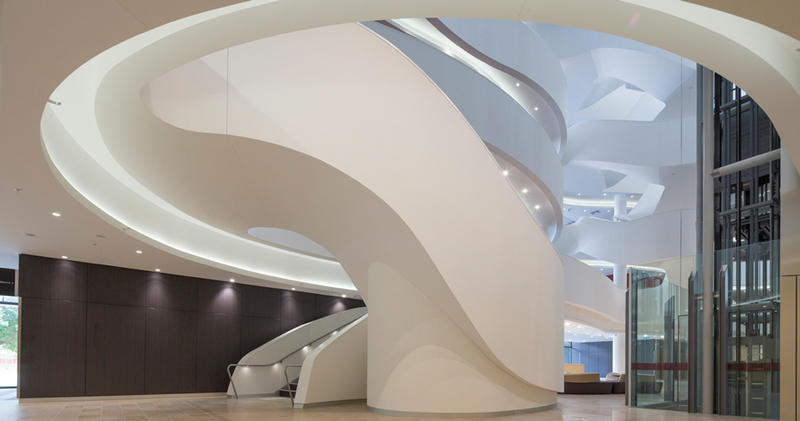 With a bold, sculpted form with horizontal continuous ‘ribbons’, the atrium sinuously diverges from floor to floor linking the balustrade, atrium stairs and screen wall. 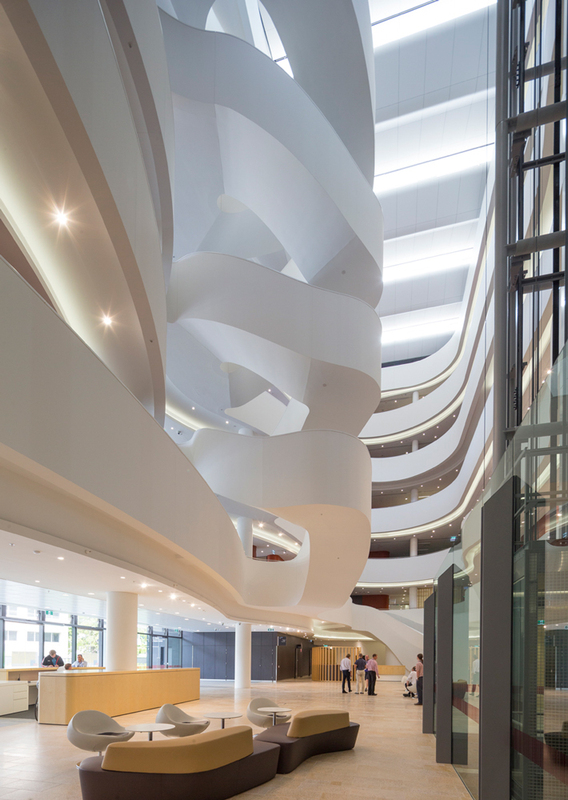 Views across and between the floorplates are optimised in circulation spaces and interaction zones around the atrium to enhance a sense of openness, connection and informal interaction without compromising security or disturbing lab activities. Inherent flexibility and versatility, along with a series of integrated sustainability initiatives, ensures that the facility successfully accommodates not only the demands of today, but those of the future.